Available at the Farm, for your own garden, we offer a variety of vegetable, herbs and fruit starts. Call to see what is available through the season. You can preorder produce starts of your particular choosing, prepaid. Some popular requests are tomatoes, basil, and herbs. 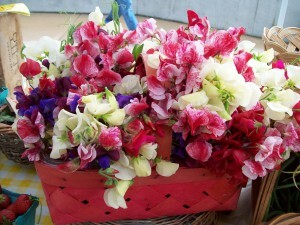 We also grow a selection of seasonal flowers, some edible for adding to salads. Available for preorder, Heat Wraps filled with rice and scented in lavender or other essential oils upon request. Interested in Plant Starts or other Products? Johnston Farms is pleased to offer products to help you start or build your own garden. 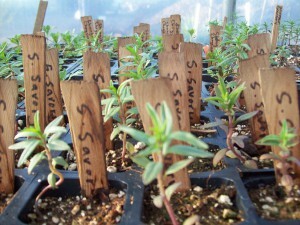 We offer a variety of plant starts and seeds in addition to other unique products. If you want to know more about what’s currently available, click the button below and send us a message!